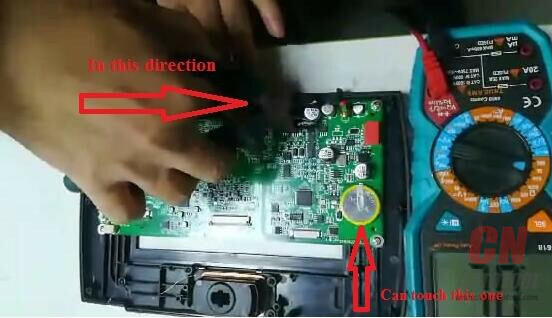 Topic: how to remove the capacitance on Lonsdor K518ISE PCB from CnAutotool so that you can use your own power supply and avoid the machine smokes. 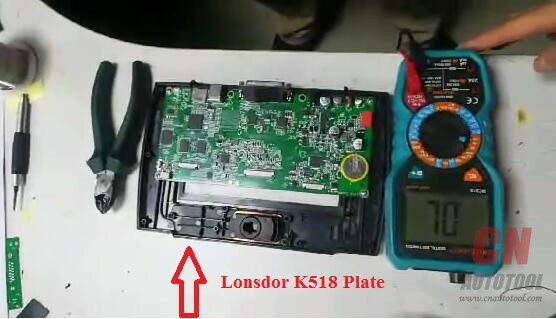 It’s key programmer Lonsdor K518ISE plate. You hands are not allowed to touch any part of the Lonsdor K518ISE plate except the yellow round one. Please follow the below picture to operate, please pay attention to the direction. 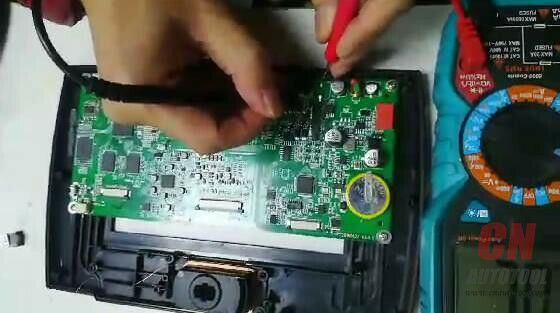 Please be gentleto remove the capacitance. Now we use the multimeter to test the resistance of this port and see if the resistance is right.